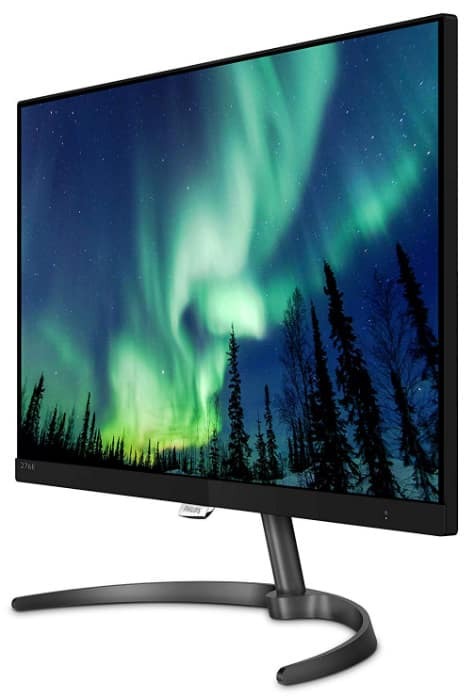 The Philips 276E8VJSB is a very affordable 4K IPS monitor designed to provide great image quality and practicality for everyday use. You’d have to spend more or less a hundred bucks or so on other brands to get specifications like this, but of course, there are a few limitations which helped to meet the price point. The Philips 276E8VJSB is a huge step in bringing 4K visuals to every home and office, but what kind of performance numbers can we expect at this price? The Philips 276E8VJSB employs a minimalist design composed of thin proportions with a matte black and gunmetal color scheme. The monitor is bezel-free but reasonably thin panel borders will still be present when the device is in use. This product is ideal for multi-screen configurations due to its appearance, but it also works great as an all-around display for multiple devices. What we love about the Philips 276E8VJSB is its OSD joystick that is conveniently located at the bottom of the chassis. It’s easy to reach and manipulate, so adjusting settings such as brightness is easy as peas. Most budget monitors have to do with a button layout, so this is a huge plus for this model. The build quality for the Philips 276E8VJSB is pretty reasonable considering its so cheap. It’s on the light side as far as 27-inch displays go at a little less than 11 pounds, so some may feel that its flimsy or fragile. Fortunately, we did not notice any flaws related to that since the device’s plastics do not flex and its seams are perfectly aligned. The backside of the Philips 276E8VJSB is simplified so its not too distracting and confusing for users. The chassis is quite shallow so the ports sticking out at the rear aren’t difficult to reach. We imagine it shouldn’t be too hard to reach behind the display to connect or disconnect a cable if necessary. Users won’t need to work with a lot of cables since the I/O panel on the Philips 276E8VJSB is fairly limited compared to other budget 4K monitors. The layout only includes DisplayPort 1.2 and Dual HDMI 2.0 slots, plus a 3.5mm jack for audio passthrough. It isn’t much, but the connectors should accommodate a PC and up to two 4K gaming consoles. But what is probably the biggest limitation for the Philips 276E8VJSB is its tilt-only stand which limits your configuration options. The design is attractive and the use of metal for supporting parts is always welcome, but we’d love to see height adjustments as well. You are also generally stuck with this mechanism even if it’s removable since there are no VESA bolt holes on the monitor. 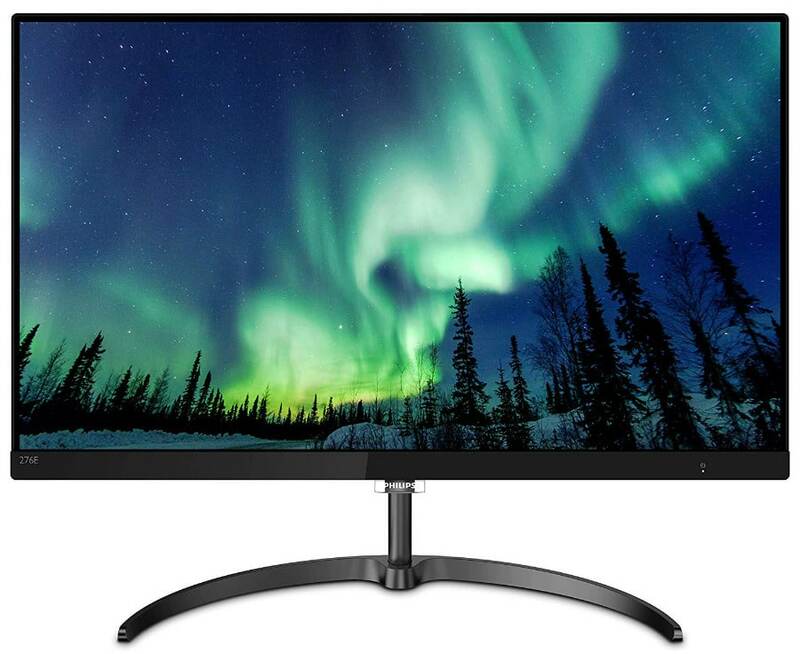 The Philips 276E8VJSB sports a 27-inch IPS panel with a 3840 x 2160 native resolution, 60Hz refresh rate, and 4ms minimum response time. The backlight in this model goes up to 350cd/m2 along with a contrast ratio that is rated at 1000:1 just like most monitors in the market. It’s a typical mix of specifications, but the kicker for this model is its resolution which usually costs more. 4K on a 27-inch screen means you get beautifully detailed and sharp images, but it could get annoying if you are reading a wall of text. There are a lot of users out there who struggle with small letters on monitors like this, so they have to rely on Windows scaling or something similar. It should be no trouble at all, but the OS function doesn’t work well all the time. The Philips 276E8VJSB posts impressive results out of the box which surpasses offerings from reliable brands like LG. The IPS panel is able to produce the full sRGB gamut with slight extensions with errors limited to DeltaE 1.5 right out of the box. The screen runs a bit cooler than the normal 6500K white point, but it still manages to look correct due to some oversaturations in the right colors. Gamma could use some tweaking at 2.15, but for regular it shouldn’t matter since the screen looks balanced overall. Contrast is great at 960:1, but the slight grayish appearance which is typical on IPS panels is still there. Black luminance isn’t as deep as we would like, but that’s an excusable characteristic of the screen technology. The backlight on the Philips 276E8VJSB is exceedingly powerful, reaching up to 420cd/m2 which is too bright for extended use. Setting the monitor to around 0-10% still leaves plenty of illumination, so it could be difficult to control for users who want dimmed screens. Panel uniformity for the Philips 276E8VJSB is decent as well if it weren’t for the light leak at the upper corners. Deviations stayed well below 12% in brightness, and color errors did not go over DE 3.0 for all of the quadrants. The backlight bleed on the review model is only noticeable when viewing all-black images, so even gamers will not be distracted considerably. The Philips 276E8VJSB can handle motion decently since the pixel response time with a median overdrive setting did not show any trailing or ghosting. There are some blurs which become noticeable in fast-paced action combined with high-contrast images, but this is a 60Hz monitor after all. Frankly, you need to spend on a gaming variant or go with a TN-based model if you want something better. The Philips 276E8VJSB does not come with Adaptive Sync solutions such as FreeSync which is a highly crucial feature for 4K monitors. It’s also a huge consideration for monitor shoppers now since FreeSync monitors are starting to be compatible with Nvidia GPUS which used to require a premium G-Sync equivalent. Input lag is superb at 9ms, so the monitor will not induce any delays or “de-synced” instances for both PC and console games. The Philips 276E8VJSB is a brilliant solution for users who require a 4K monitor for home and office use with a little entertainment of the side. Even gamers will enjoy this monitor since its responsive and vibrant, but you need to make sure that you get a unit with little to no backlight leaks. The connectivity design is also pointing towards suitability for console use since you get two HDMI 2.0 ports to play with. 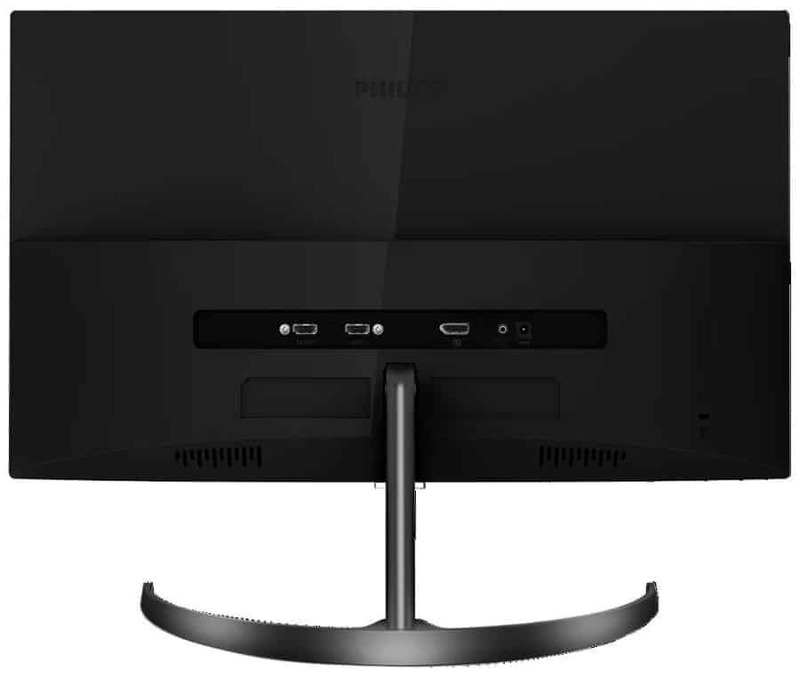 The Philips 276E8VJSB should sell great due to its positive characteristics, but we think the lack of creature comforts such as VESA mounting is a big deal breaker. The stand is removable, but you don’t have immediate alternatives if you want more flexibility. But overall, the Philips 276E8VJSB is a fantastic 4K IPS monitor with the best bang for the buck we have reviewed.